Summary The RM Community (https://community.rm.com/community/) is the place to go to ask questions and share advice with other people facing the same challenges as you. You will need to sign in using your RM unify login and password, but that's all. You will need an RM Unify account - either RM Unify (which is free) or Premium - to access the community. 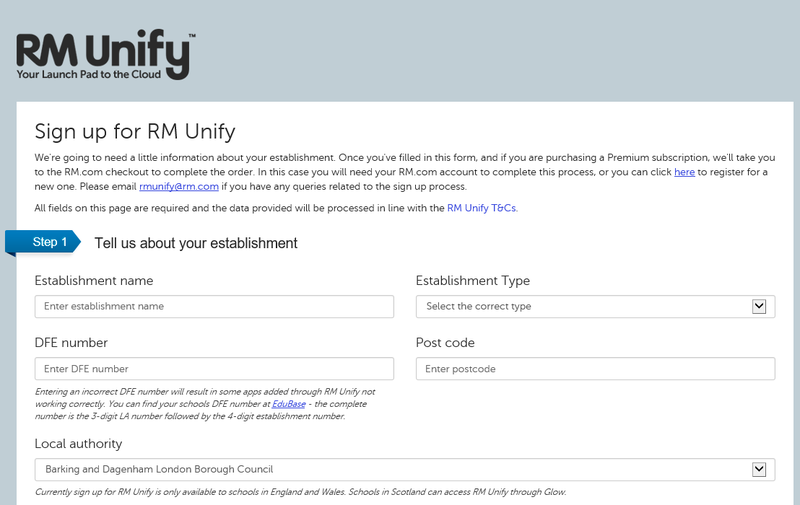 If your establishment already has an RM Unify account, then please contact your local administrator to get a username and password. If your establishment doesn't have one, please follow the 'Registering for RM Unify' instructions below to sign up. Once your RM Unify account has been set up, you can register for the RM Community (please see the 'Registering for the RM Community' section further below for details). Please note the initial registration process takes a while, but after that it will be quick and simple to log in. If you no longer want to be part of the RM Community, please email communities-help@rm.com and your details will be removed from our database. Go to https://rmunify.com/signup and follow the onscreen instructions to complete the form (see screenshot below). Local Authority (LA) - enter your 3-digit DFE number followed by 0000. Other RM support partner - enter 0000000. Once you have completed the form, click 'Let's get started'. Log in to RM Unify. Install the RM Community tile from the App Library. Please see the section 'Using the App Library' in the Quick Start Guide below for instructions. Click the RM Community tile that you've just added to your Launch Pad and you will be presented with an online registration form. Enter your name in the Display Name field (this is the name that will be visible to other members when you post, or reply to a post, so should be your full name). Enter your email address in the Email Address and Confirm Email Address fields. Click Register and a screen will appear saying User Registration Successful; click the Continue button. You can subscribe to posts and forums that you're interested in and each time they're updated you'll be sent an email. If you've already been active in the RM Community, you may be automatically subscribed to posts you've either created or replied to (unless you removed the tick from the 'Email me replies to this post' box when posting/replying). If you don't want to receive emails on these posts, you will need to unsubscribe yourself. 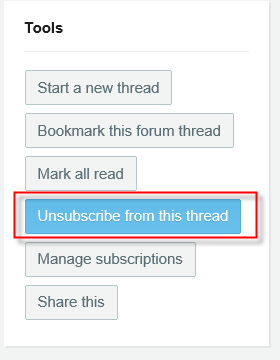 To do this, click 'Unsubscribe from this thread' under the Tools section. There are two ways to subscribe to forums. The first is to click the group you're interested in, then click the Forums link. Under Tools, choose 'Manage subscriptions'. You can choose the forum(s) you want to subscribe to by clicking the No link to change it to Yes. 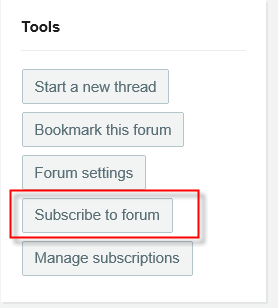 The second way is to click the actual forum you want to subscribe to e.g. 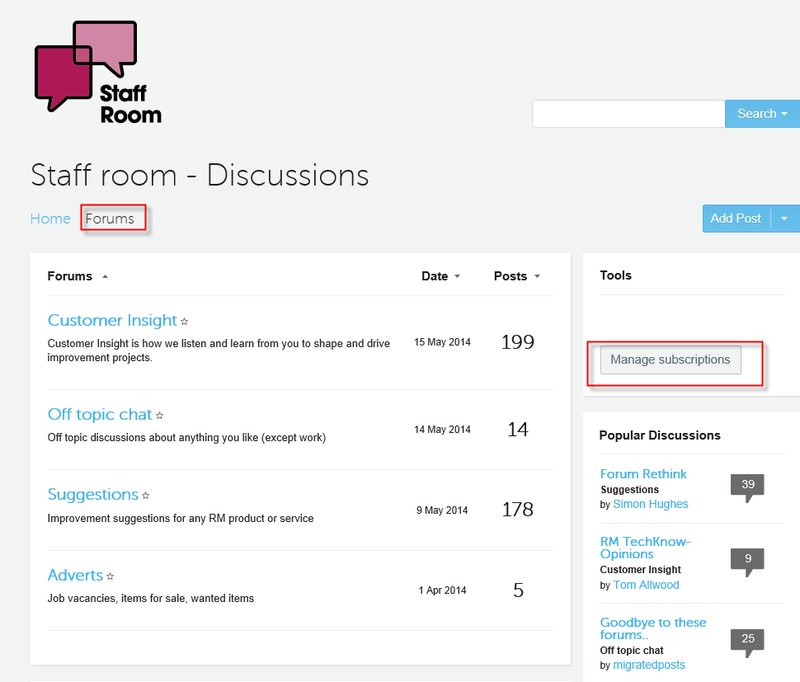 'Staff room, Adverts' and under the Tools section, click 'Subscribe to forum'. To subscribe to a thread, click it and choose 'Subscribe to this thread'. 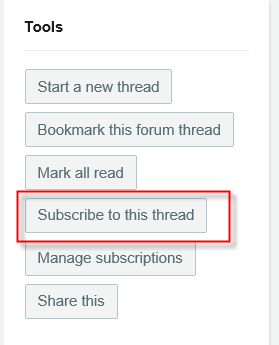 Please remember that if you create a post or reply to one, you will automatically be subscribed unless you remove the tick from the 'Email me replies to this post' box. This tick box doesn't appear if you only click the Reply button, so please choose the 'Use rich formatting' option if you don't want to be automatically subscribed. If you want to hyperlink another community user in a post, you can use the @ symbol. Once you've entered the @ symbol and you start typing the person's name, you will be offered a list of people to choose from. 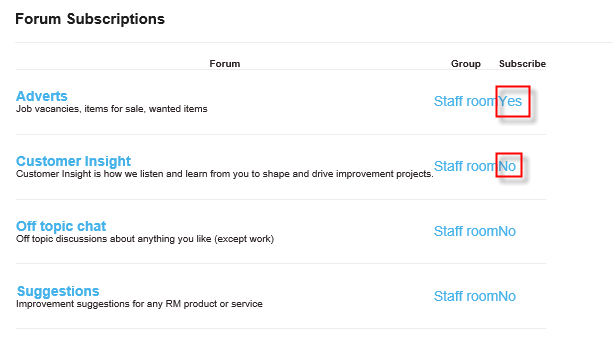 Data protection and online safety groups have been added as requested by the RM product manager. Again following feedback, we've created a new group for you to post scripts. Following feedback, we've added three new dedicated areas to discuss Apple, Google and Microsoft topics. If you've registered for the RM Community, you will have received notification emails advising you that you've automatically been added as a member to these new groups. This saves you having to request manual membership.